Cars 3 is racing into the theatres and if you are like me, you’ll want to download some free Disney printables for your kids to enjoy. I have three great picks for you to save onto your computer. These are really fun games you can incorporate into your next family game night. 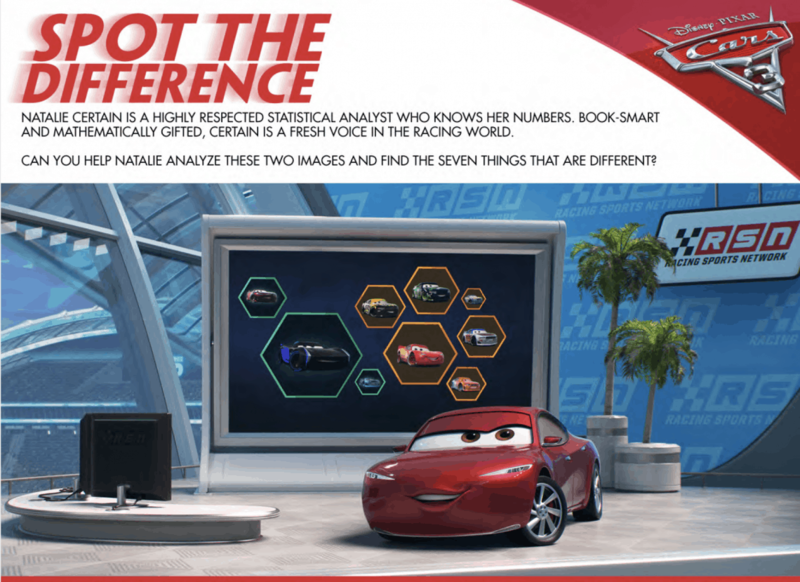 These Cars 3 free printables are an easy answer to late night boredom and also long car rides. The kids might think these are for them, but really, Moms, this one is for you. On to the Cars 3 printables!! Be sure to have your printer ready because these are super cute and, of course, filled with Cars 3 adventures for your little race fans to enjoy. Simply, click on each of the links and then, print. Grab them from my site as many times as you want. OR, instead, you can save the files directly to your computer. Up to you! Are you planning on seeing Cars 3 when it hits theatres? CARS 3 opens in theatres everywhere on June 16th! Come back and tell us what you and your little Cars fans think! Previous Post: « People Magazine On Sale 85% Off With This Discount Code!